BJP president Amit Shah and IPS officer DG Vanzara have been accused as the “principal conspirator” in the Tulsiram Prajapati encounter case. The list of accused includes Rajkumar Pandiyan and Dinesh MN as well. The police officer investigating the case, Sandeep Tamgade has told the court that all these officers and then Home Minister of Gujarat, Amit Shah were the key conspirators in the case and are directly responsible for the encounter. Sandepp, who has been investigating the Sorahbuddin encounter case and the Tulsiram Prajapati case since April 2012 has said that he interrogated BJP chief Amit Shah and the current Home Minister of Rajasthan, Gulabchand Kataria, and found “incriminating” statements from the duo. Congress president Rahul Gandhi tweeted on the investigative report and seized the police officers claim and attacked the BJP supremo Amit Shah. “The Gita says you can never escape the truth and so it has always been. 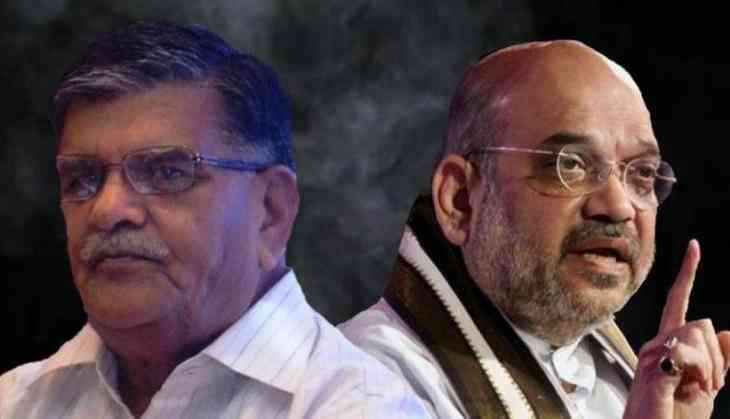 Sandeep Tamgadge has called Amit Shah a 'key conspirator' in his testimony. It's completely appropriate for the BJP to have such a man as its President,” Rahul said. The Gita says you can never escape the truth and so it has always been. Sandeep Tamgadge has called Amit Shah a “key conspirator” in his testimony.